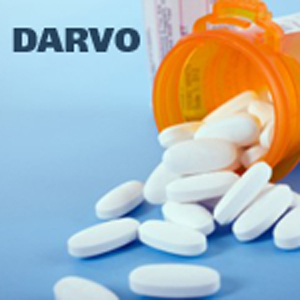 Darvo belongs to our dose class known as narcotic analgesics, also known as opioid analgesics. Darvo will relieve pain by affecting how the brain perceives or senses pain. The simulated combination of acetaminophen and propoxyphene offers more effective pain relief than either simulate alone. Darvo may cause cold, clammy skin fatigue, slow breathing, and muscle twitching.